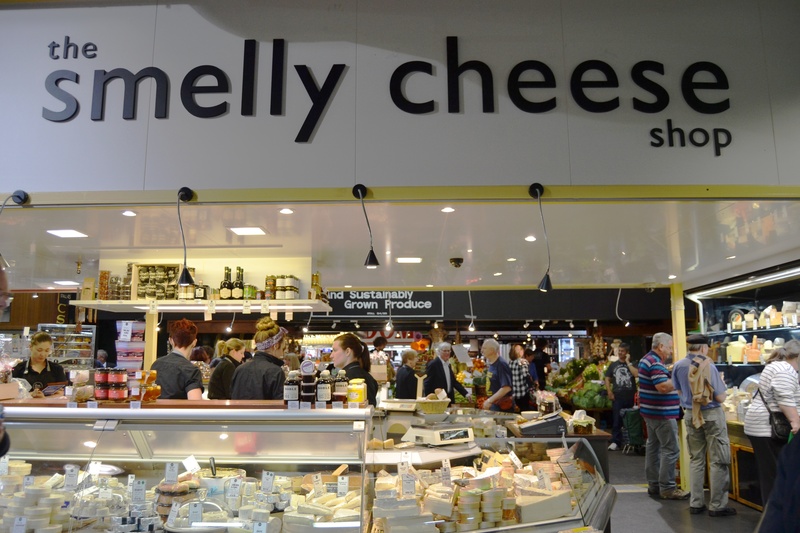 The Smelly Cheese Shop - Adelaide Central Market: The City of Adelaide's premier food destination. Over 70 traders under one roof. Dedicated to servicing the true cheese connoisseur, our range extends from international classics to the cre’me de la cre’me of Australia’s specialty cheese industry. As well as stocking the best locally made cheese, we buy directly from cheese makers Australia wide, as well as France, Italy, Spain, UK, Ireland, The Netherlands, Switzerland and the USA. We travel widely to visit cheese makers on the farm and in the factory, and work with them to bring the cream of their products to you – and in the condition they intended. There are hundreds of cheeses available and each one is given the individual care it deserves.